A friend pointed out this Vanilla Yogurt Cheesecake recipe a few weeks ago just as I was falling in love with greek yogurt, so it couldn’t have been better timing. 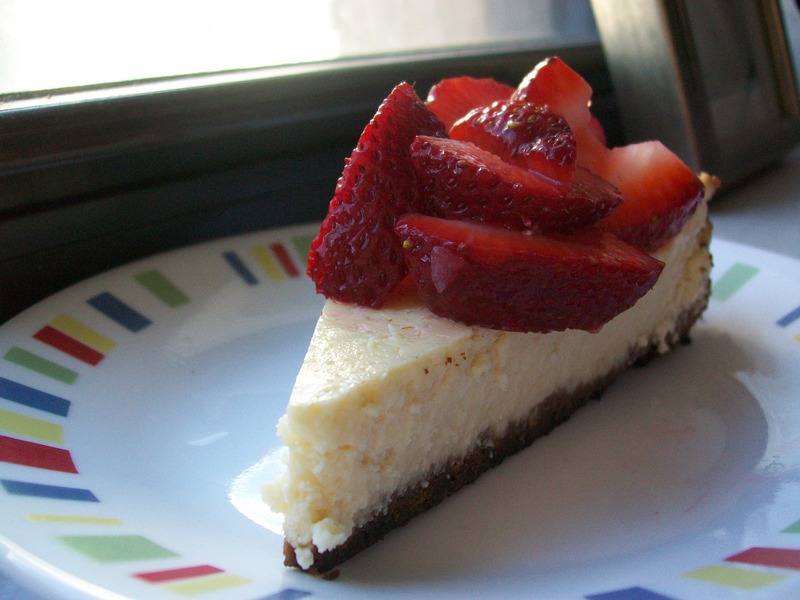 With the use of non-fat yogurt, this is certainly a lighter variation on classic cheesecake. I wasn’t quite sure what to expect in terms of a final product, but I was happily surprised. 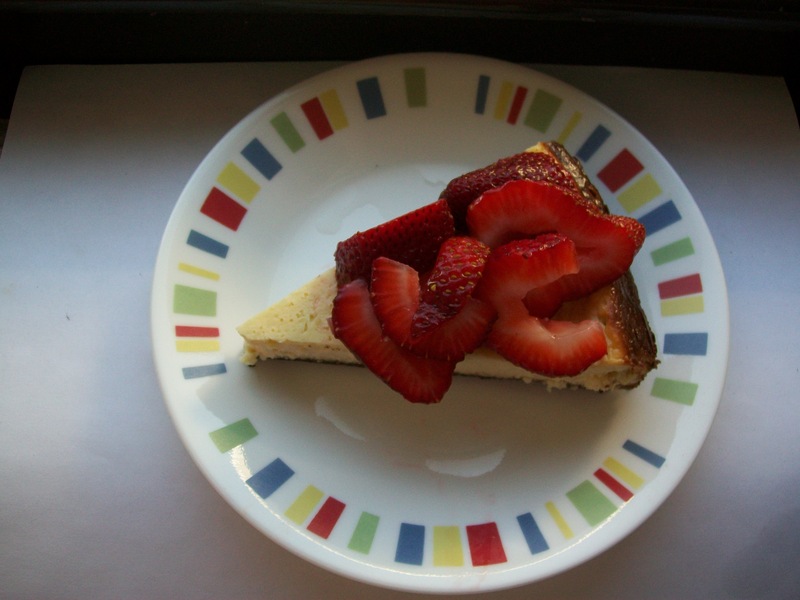 I’m actually not a huge fan of plain cheesecake, but I enjoyed this one. It’s usually the intense cream cheese tang that I don’t enjoy as much, but this recipe just didn’t have too much of a tang, which was surprising considering the block of cream cheese and 16 ounces of greek yogurt it had. I probably could have added more cream cheese since the overall flavor was extremely subtle. I slightly over-baked the crust, which is seeming to become a habit of mine. I wasn’t a huge fan of the pre-made chocolate graham crust I used, so at least I know I won’t buy it again, even if it’s on sale. The cheesecake also sank a LOT after I turned off the oven, but it actually didn’t crack like most do. I must admit I was a bit nervous about the cracking and sinking, as that always happens when I make cheesecakes, so this result wasn’t unexpected. 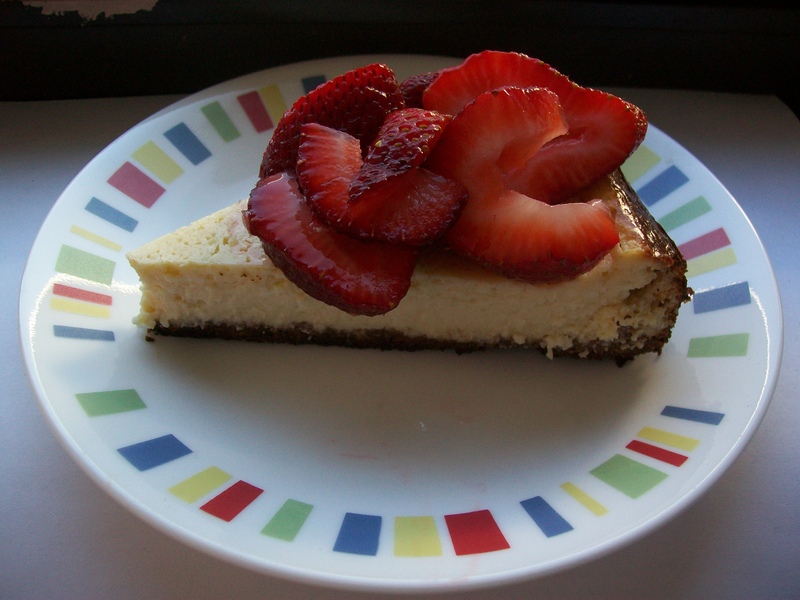 Overall this recipe makes an enjoyable cheesecake, but that’s only my opinion. However, those who enjoy really being able to taste the cream cheese might beg to differ. 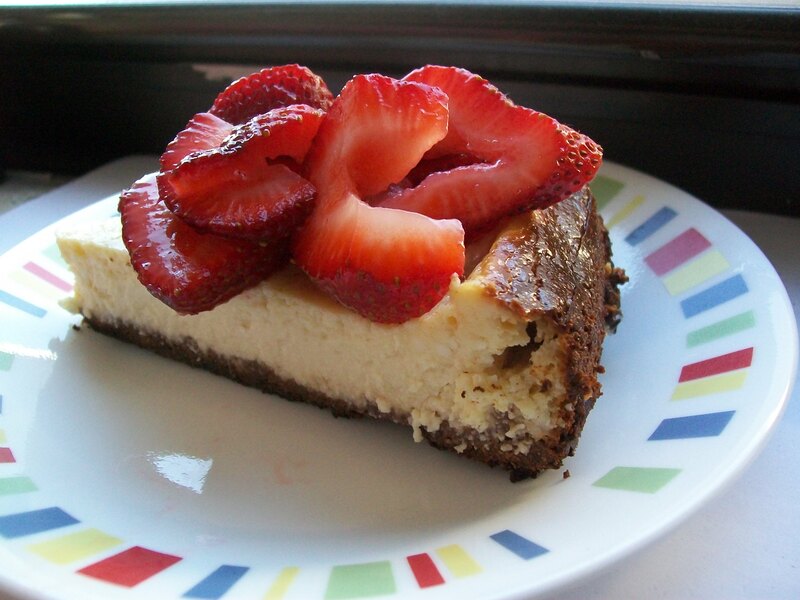 But if I make cheesecake again, it’ll probably be of the “No-Bake” variety. Also, these strawberries are so ripe and sweet! I ended up buying three pints of them, and I’m sure they’ll be gone in a matter of days. Next postThe Post of Chocolate DEATH!